On Sunday, March 10, 2019, popular Nollywood actress, Toyin Abraham, condemned singer, MC Galaxy for allegedly asking a girl to dance naked for a cash prize of N50,000, during a competition he held on his Instagram live page. However the singer has come out to set the records straight. 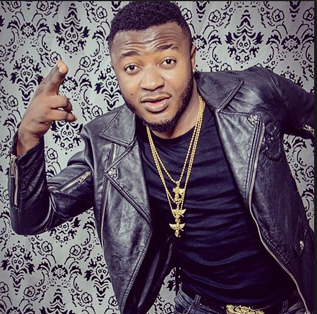 While setting the records straight, MC Galaxy revealed that he never asked anybody to dance naked, neither was there an initial prize tag on anybody who could dance naked. “On Friday night I held an IG live session, where fans called in to show their talents. Some rapped, some sang and some danced. We got calls from everywhere; both guys and ladies called in to showcase their talents. At some point, a lady called in without her clothes on. I actually dropped her off but the fans from the comments insisted I accept her request, so I did. As she danced, a friend declared her the winner and promised to give her N50,000. At no point did I offer anyone N50,000 to dance naked. There was no price tag for anybody to go naked. This issue was the case of an Instagram live that went out of hand. If you follow my page you would know that I have the utmost respect for women. My apologies, we would handle things better next time”, he explained.